Headquartered in the German town of Warburg in North Rhine-Westphalia, Lödige Industries was founded in 1948. The Group now has an international presence with sites in Europe, Asia, the Middle East and the United States. As a medium-sized, owner-managed enterprise, Lödige Industries employs more than 1,000 people worldwide, around one third in Germany. Lödige Industries supplies materials handling solutions for a broad range of industries and specializes in providing complex material flow systems for logistics tasks. Lödige is the world market leader in air cargo handling terminals. 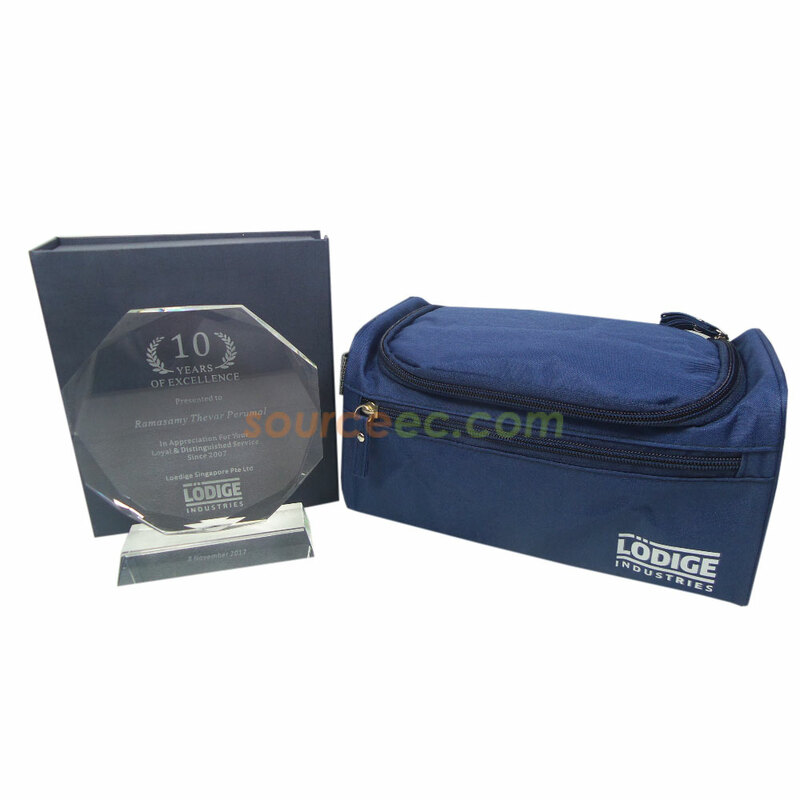 Lodige Singapore Pte Ltd ordered two corporate gifts. One is sun flower crystal trophy, another is toiletry bag. This crystal trophy is made of a combination of octagonal and inner octagon and it is like a sunflower. As a corporate souvenir, crystal trophy is good for employees and customers who have made great contributions to the company's development. Another great way to save space, this hanging cosmetic case is full of pockets, appeasing the ultra-organized among us. A classic shape in an unexpected finish, this real cork case is surprisingly water-resistant inside and out. Let your trip more comfortable with our travel gifts.